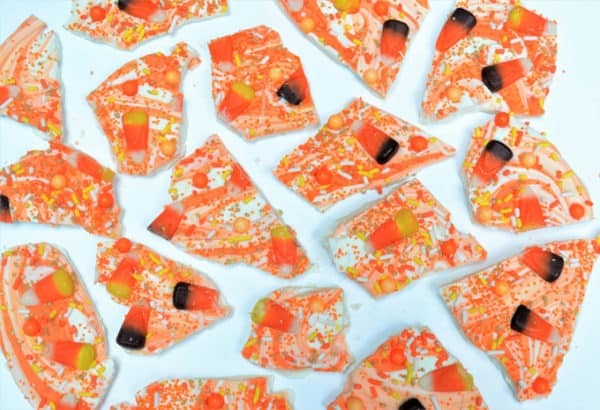 An easy Candy Corn Bark recipe perfect for fall or Halloween! This fall dessert recipe is so simple, the kids will love helping with it! 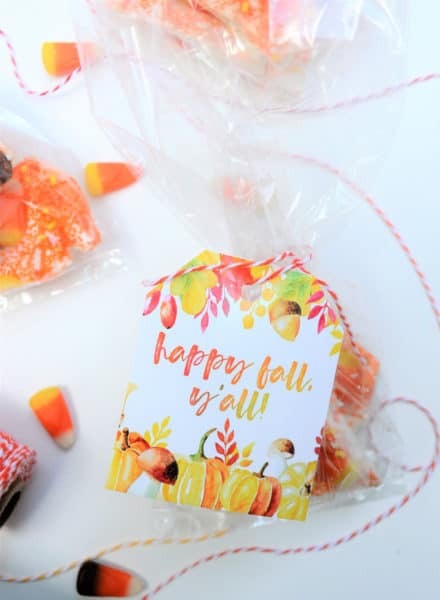 Includes free printable tags for sharing your goodies. Candy bark is one of those recipes that everyone loves-it’s easy to make, delicious, and perfect for gifting. 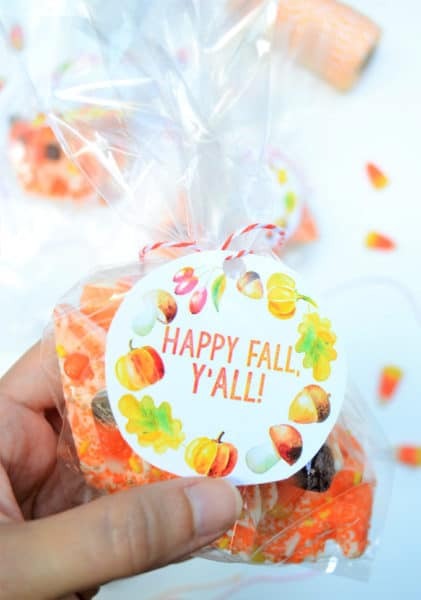 Today, I’m sharing a simple Candy Corn Bark recipe, plus free printable tags for sharing! 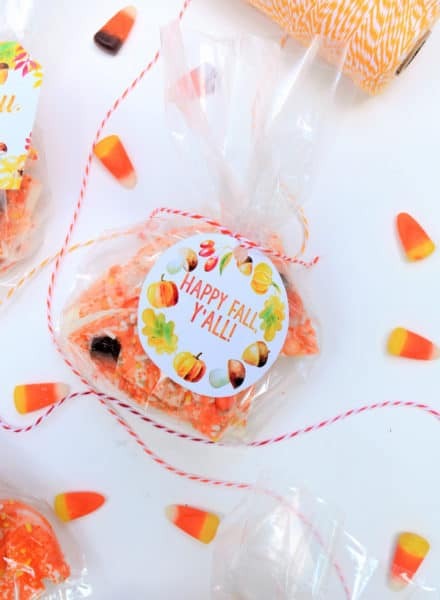 All you need to make this easy Candy Corn Bark is white candy melts, orange candy melts, candy corn, and assorted fall sprinkles. Simply melt your candy melts according to package instructions (I often add a bit of coconut oil to make them thinner), and spread out your white melts on a parchment-lined cookie sheet. 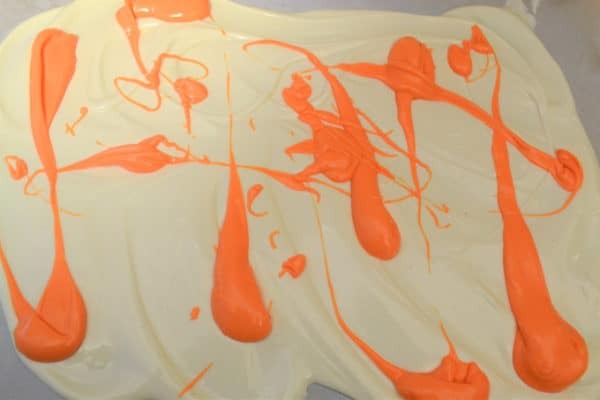 Layer your orange melts over top, and use a fork or knife to swirl the two together to get a fun marbled effect. Layer on your candy corn and sprinkles, and set in the refrigerator to harden (about 15 minutes or so). Use a sharp knife to break into pieces, and, if desired, place in cello bags and tie with twine for a cute fall or Halloween gift idea! 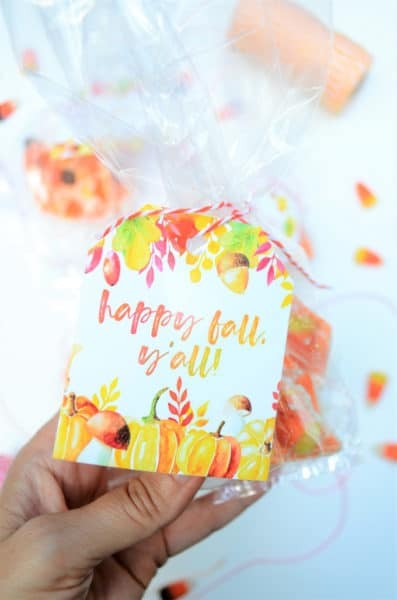 Want a fun gift tag to add to your fall treats? These two “happy fall, y’all” are free for you to download and print. Just download the one you want, and send to your favorite photo printer. These will print 2 to a sheet, on 4×6 paper. Cut them out, punch a hole in the top, and tie on with some bakers twine! 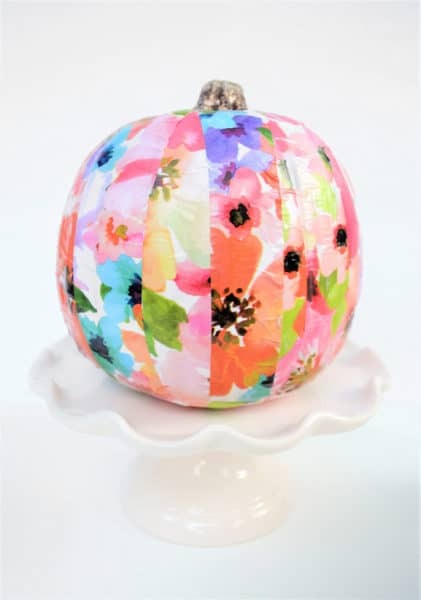 Looking for more fall crafting inspiration? This mod podged pumpkin is easily customizable to your favorite colors! 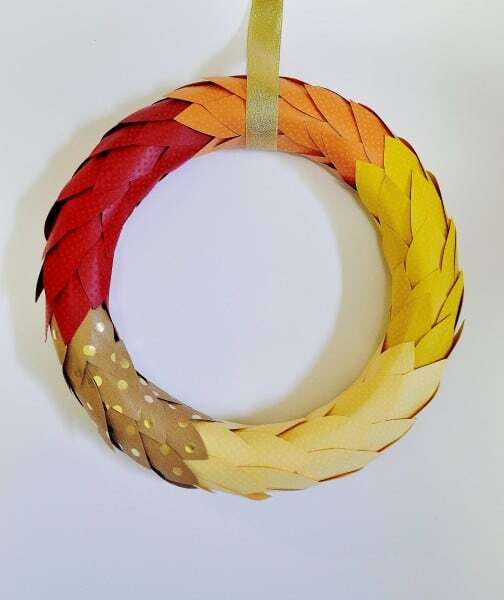 And this fall paper wreath is the perfect fall decor item for your front door or mantle. 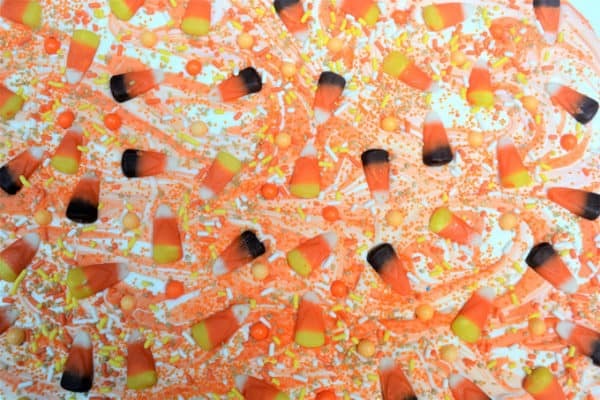 Thanks for reading all about my Easy Candy Corn Bark! Have a fantastic day! Saw this on the Happiness is Homemade link party and so glad I did! This will be our first year to host a Halloween party and this is must! Pinning and adding to the grocery list! 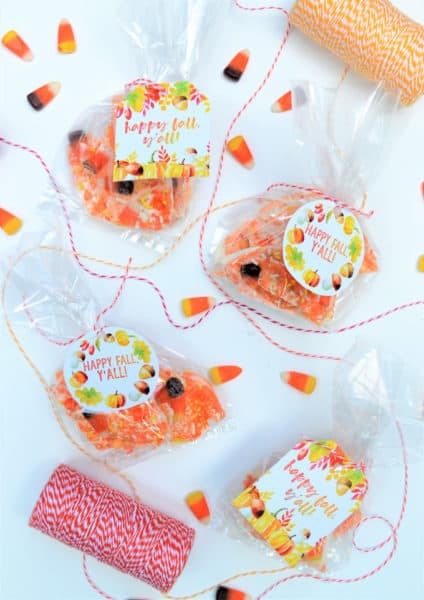 Oh my goodness, this Halloween bark looks SO yummy, and what a cute printable tag! Thank you so mjuch for sharing this lovely seasonal post with us at the Hearth and Soul Link party. Hope to see you at the party again this week! Pinning! What a super pretty Halloween treat! I love all of the orange and your printable tags are adorable. Thanks so much for sharing with us at Merry Monday this week! The tags look so cute and the candy bark looks so colourful I’m sure the kids will love it. Thanks for sharing at #overthemoon link party.